that assesses 10 leading vendors of model validation solutions. help firms meet those and a host of other requirements. reports evaluating top vendors in those areas. 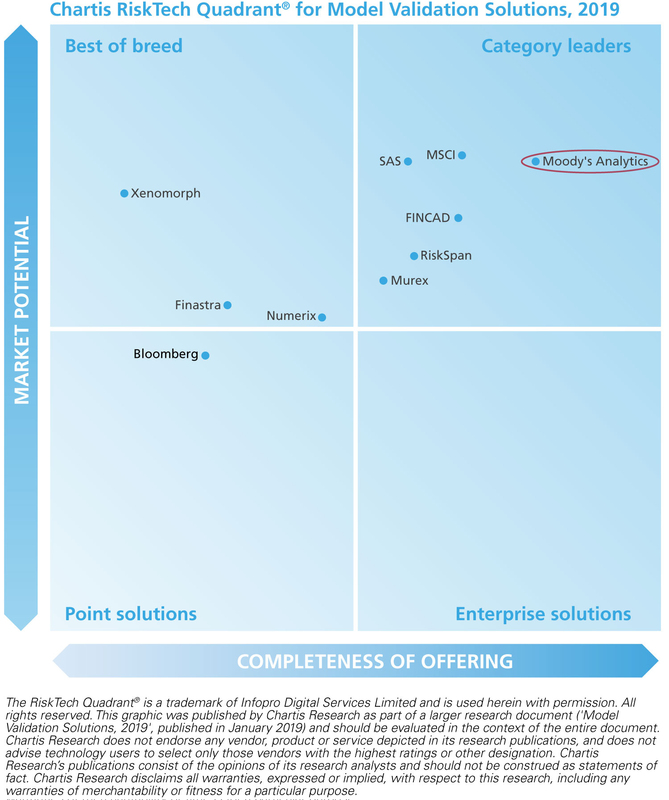 list of awards and accolades for Moody’s Analytics. here to learn more about Moody’s Analytics advisory services. needs. For more information about Moody’s Analytics, visit www.moodysanalytics.com. aspects of risk technology. Further information is available at chartis-research.com.